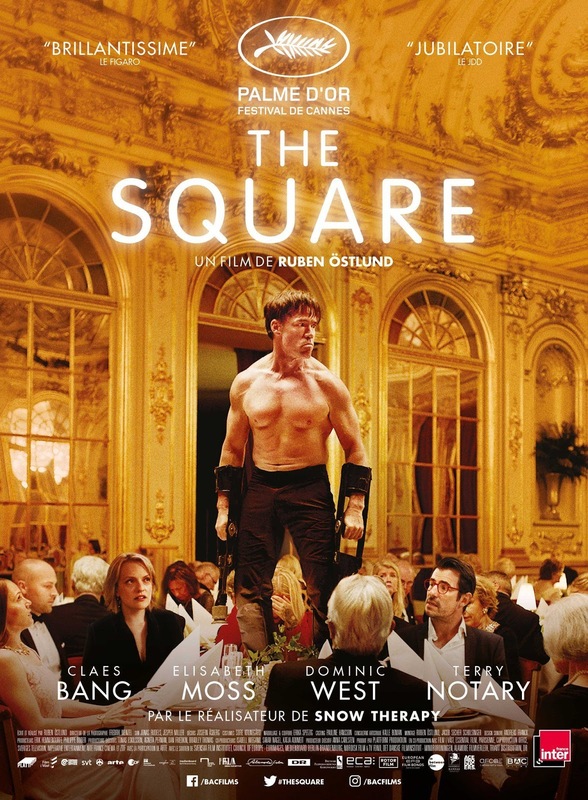 This month we will be changing venues and will be screening The Square at the Cellar Arts Club down Prospect Place, just off the seafront, behind The View cafe/bar on Marine Parade. see their facebook page here. Free entry to Film Club members and £4 for others. 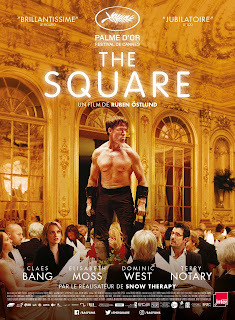 September's film is the highly acclaimed art satire The Square. Force Majeure's director Reuben Ostlund comes up trumps with this dark comic satire on the art world and the world of male privilege. This Palme D'Or winner brings international class actors together in this bizarre intense story of Ballardian dystopia as a prestigious Stockholm museum's chief art curator attempts to set up a controversial new exhibit. The fabulous and versatile Elizabeth Moss (Top of the Lake, The Handmaid's Tale) opposite Danish lead Claes Bung (The Bridge) with solid support from Dominic West (The Wire, Pride, Testament of Youth) give us great performances in this dark delight of a film. If you like your cinematic dish served piccante with sour backnotes, washed down with dysfunctional bile then the Square is the filmic feast for you! Believe - this film is a brave brilliant concoction with Ostlung's conjuring up a superb film after giving us the unnerving Force Majeure where Swedish family learn so much more than survival when confronted with a devastating avalanche on a skiing holiday.